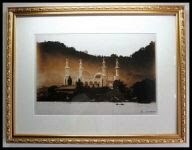 The Mindanao Examiner: Framed Photos of magnificent Tulay Mosque and historical Bud Daho in Sulu Province! Framed Photos of magnificent Tulay Mosque and historical Bud Daho in Sulu Province! For sale! Framed photos of magnificent Tulay Mosque and historical Bud Daho in Sulu Province. 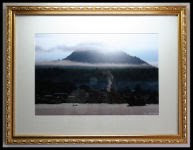 Beautifully framed in gold 19" x 26" for only P20,000 each! Very limited prints. Collector's Item. Very good for office, restaurant, hotel, inns, or special gifts for VIP, executives, businessmen, bosses, tourists, or in your house.